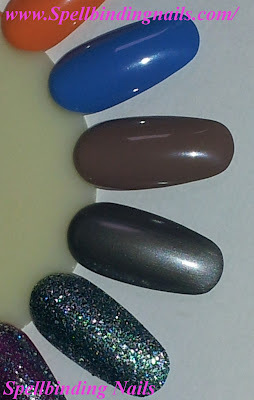 Spellbinding Nails: Nails Inc - My May Auto delivery from QVC. I got my May's Auto delivery today from QVC today. 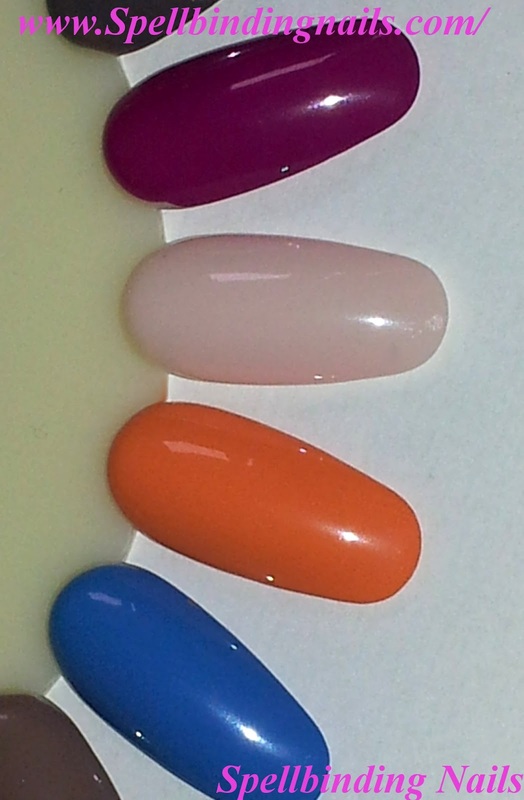 The first 7 polishes I got In the February delivery can be found here. - Is a stunning bright pinky-purple creme nail polish and a one coater! - Is sheer pink - This was a 3 coater. - Is my new favourite Orange Polish (One coat applied)! - One coat applied =D. - Is a Creamy mushroom - Perfect after One coat. - Hello *stunning* Gunmetal polish! - Two coats applied, But could have got away with one. - A teal glitter which includes blue, green & silver glitters in various sizes. The colours in this set are excellent. I can't praise Nails Inc enough for the variety they have put into each collection. When I got the first set in February ...I was a QVC virgin...However, if they keep adding awesome deals like this - then they will keep me as a customer! Nail inc retail at £11 and the set costs £25.74 ...How could I say no to that! Ah, the orange looks darker on the swatches than the bottle picture. I would of loved it more if it was as light as the bottle picture. Still gorgeous though! Amazing colors. My favorite is Hammersmith. I'm loving these colours! Can't believe what a good deal this is! Might have to get one of these for myself!